Guard your hands in something a bit more regal than your standard gauntlet. 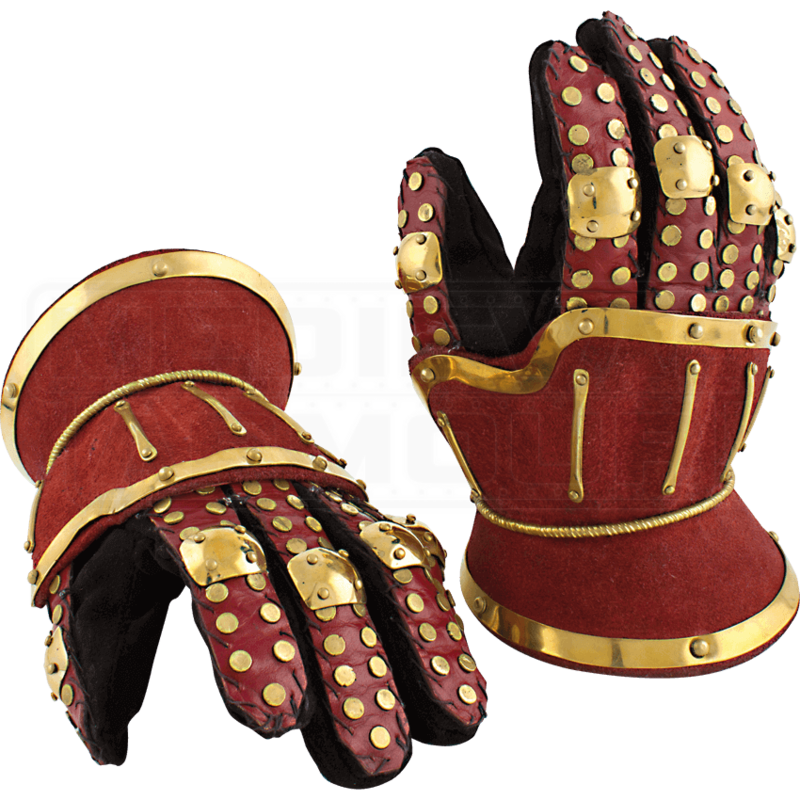 The Red Hourglass Gauntlets, made of 19 gauge steel, are coated in red colored leather and adorned with brass rivets for an impressive and unique look. The back hand piece is rigid and features a short vambrace to protect the wrist. Protected by thick leather, the fingers are free for a range of movement. Brass knuckle guards and a multitude or rivets provide further protection. Underneath, the gauntlets are worn by leather gloves sewn to the top portion of the fingers. 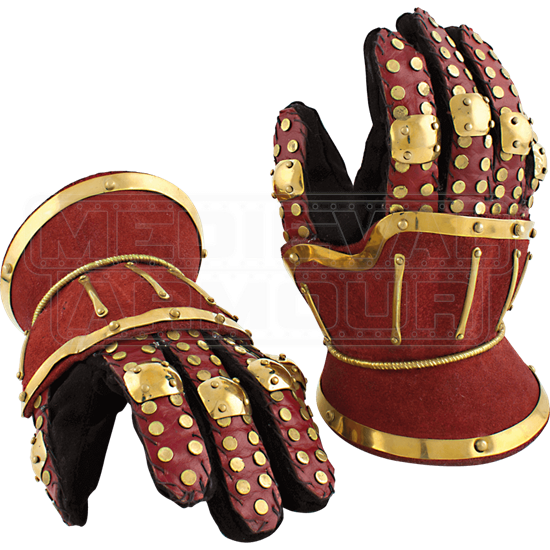 A phenomenal way to show off your style on the battlefield, the Red Hourglass Gauntlets are sure to serve you well at your next medieval reenactment event or LARP battle. Due to their handcrafted construction, each gauntlet may display slight variations in its appearance. To properly maintain your steel armour, always keep the metal pieces away from water and lightly oiled to prevent rusting. Occasionally clean the armour with metal polish and re-oil them. Leather care products must be used to maintain the leather fittings as well. Care Instructions- Keep away from water. Clean with a metal polish and re-oil occasionally to properly maintain the armour. Use leather-care products for the fittings.